A preamp is a key component to experiencing true home theater surround sound and a critical element to recording music, yet few people really understand the function a preamp plays. OSD Audio’s Pre-1 is a unique and, yes, affordable preamplifier that accomplishes the subtle audio tasks that transform an ordinary home theater surround sound system into, ‘wow, I hear every detail,’ from a gun chamber being loaded, to the whooshing blades of a helicopter. 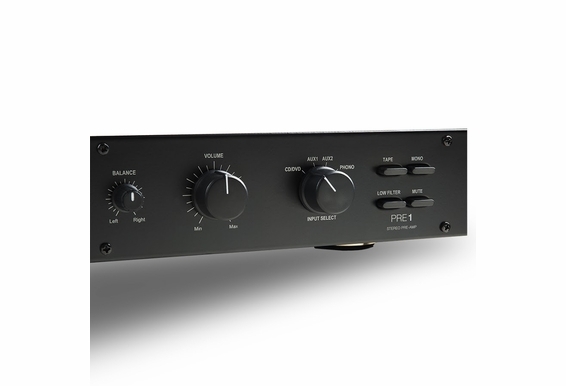 A preamp delivers similar benefits to music recording by boosting the low-level output on microphones. Because mics generally have a weak output, adding a preamp will deliver a better recording signal level verses simply plugging the mic into a computer and standard recording gear. Preamps do more than add volume, however. Like the home theater experience, a preamp in recording can finesse the subtle “color” of sound by adding tonal quality. Let’s start with what a preamp is and then we’ll cover the attributes of OSD Audios’ Preamp-1 so you can make the wisest buying choice. What Is A Preamplifier and What Does It Do? 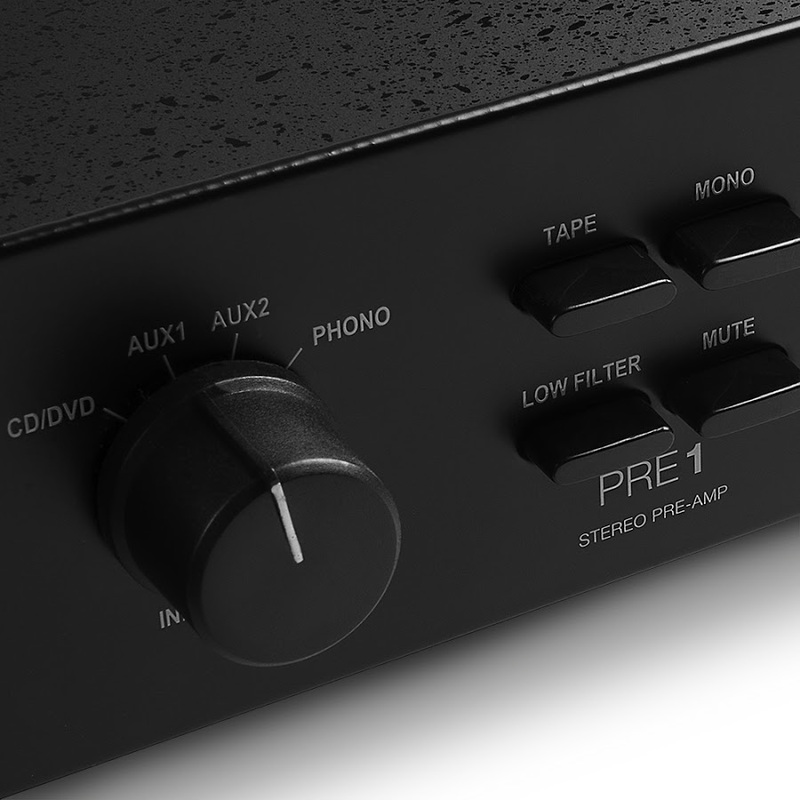 Simply put, a preamp is a separate processor within the audio command chain that accomplishes detailed audio tasks. A decent home theater will typically have one or more amplifiers and an AV receiver. While an AV receiver has amplifier power, power is not its primary function. An AV receiver “receives” audio and video signals from a variety of sources (TV, DVD DRV, etc.) and routes the signals to the speakers. Power is where the amps kick, which supply the juice needed to move the signal with enough amperage so your surround sound speakers produce the best sound for which they are designed. That should be enough, right? Well, not exactly. The amp may add power, but it can be a bit of a clod because that’s all it’s doing—add power. (Okay, audiophiles, we know it does more, but let’s keep it simple). Enter the preamp. A preamplifier is a low-level amplifier. What that means is that it takes a line level signal (that’s the strength of an audio signal used to transmit analog sound between audio components such as CD and DVD players, television sets, audio amplifiers, and mixing consoles) and amplifies it enough to drive the power amplifier to its rated output. If an amp is receiving a signal at its rated output, it will perform better and your surround system will pick up detail you never thought possible. The same can be said in sound recording where an audio interface enhances the sonic capabilities of a computer. While an audio interface includes an internal preamp, an external preamp gives you more control over tonal quality. 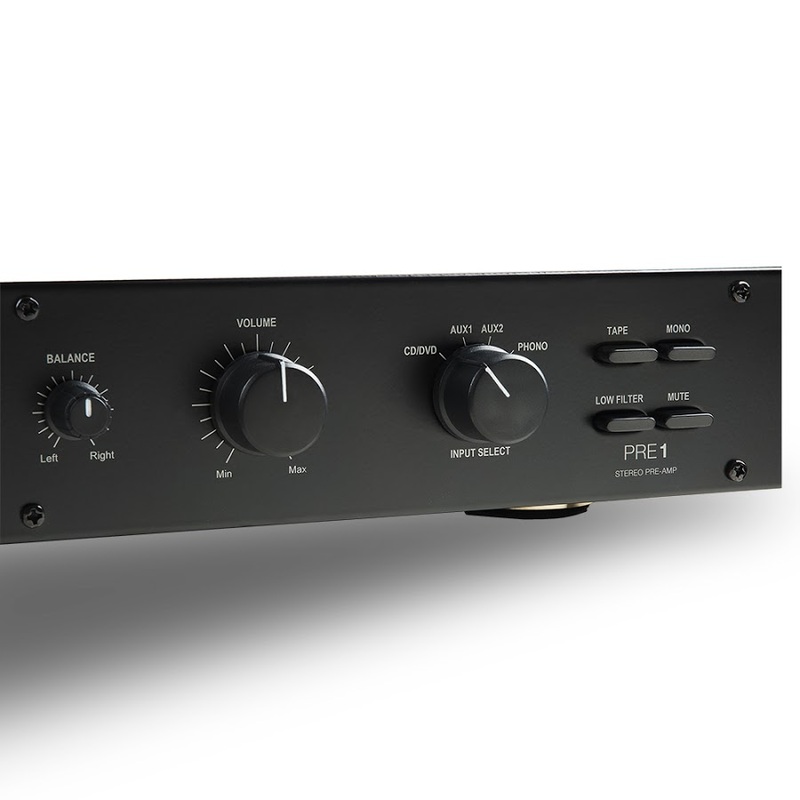 There are many preamp manufacturers that range from bizarrely cheap to bizarrely expensive. 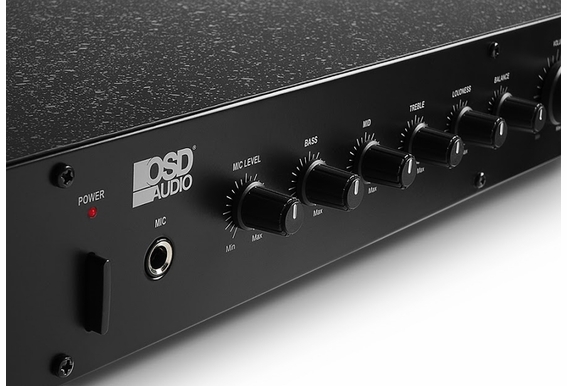 We look at our OSD Audio Preamp-1 Professional Home Stereo/Home Recording Pre-Amplifier as the middle ground, or an affordable preamp that adds front-end system control to two or multi-channel audio systems and home recording systems without having to load up on credit card debt. OSD Audio Preamp-1 Professional Home Stereo/Home Recording Pre-Amplifier is not shy on features for the price, and we encourage you do research the specs. 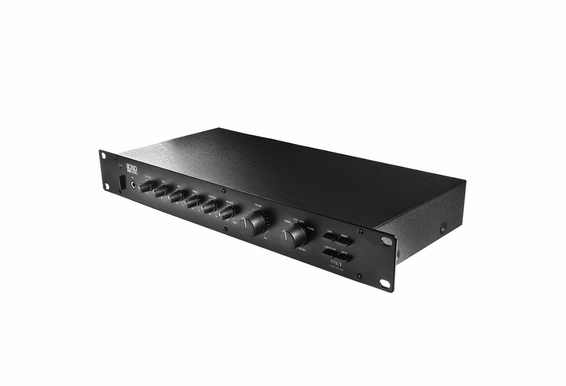 Our preamp provides four selectable unbalanced analog RCA inputs, Phono, AUX1, AUX2 and CD/DVD and a ¼” Mic input jack on the front panel with adjustable mic level control. Other front panel variable control knobs feature three tone controls: Bass, Mid and Treble, plus Balance, Master Volume and Loudness Contour Knobs with Min to Max settings. Additional front panel controls include Power Switch, Tape Loop, Mono/Stereo, Low Filter and Mute Buttons. 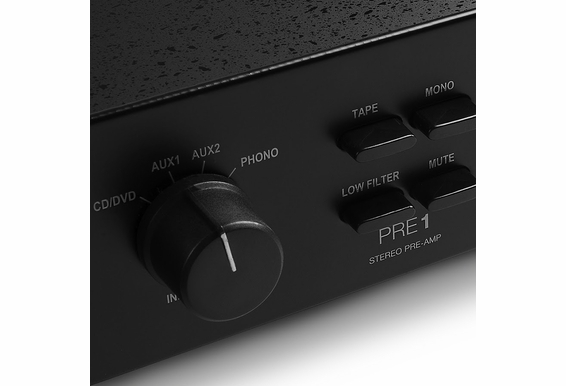 We back this preamp with a 2-year warranty because the Preamp-1 Professional Pre-Amplifier is as solid as it gets. Tone Controls: Bass, Mid and Treble, Center settings are flat. Levels for each are attenuated when the knob is rotated counterclockwise and it is boosted when turned clockwise. Loudness Control: This compensates the low frequencies when listening at lower volume levels. Master Volume and Balance Controls: Adjusts the output level to the amplifier and left and right balance. Low Frequency Filter: When enabled, reduces undesirable subsonic low frequencies. Mono Switch: Converts the output signal to Mono when pushed in. AC Selector: Switch between 110V-220V AC. When will the Pre amp1 be back in stock? Hello, I have this preamp and the osd amp 200 driving four Bose 251â€™s and two monoprice outdoor speakers out by my pool. This is being fed into a niles ssvc-6 speaker selector and volume controller from the osd amp 200. I want to add your smp500 to the mix so I can power two of your unground subwoofers. How do you recommend that I connect the smp500? I will mostly be using an Apple airport express as my source, and ultimately be using the volume control built into the phone to control the volume, since the media cabinet is in my garage. Will this cause any issue with the volume when everything is put together? Would this work to replace a Kenwood Basic C2 Preamp? Looking for a temporary replacement while the Kenwood gets repaired. Any help would greatly be appreciated. Can I pair this one to Crown xli1500 power amp? Thanks. Is this unit switchable to either mc or mm turntable? Thank you. 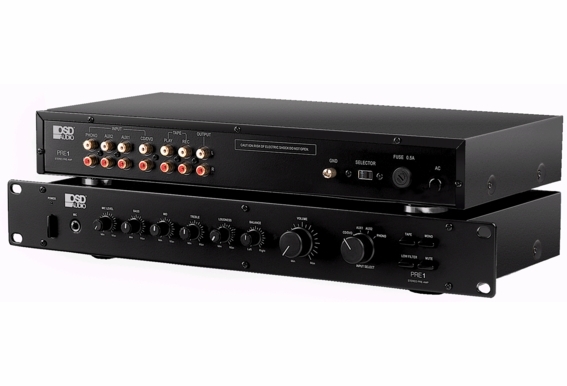 I am interested to know if this pre-amp can take (input) turntable and cd player signals and output at line level with enough amplification for connection to a Sonos connect? The idea is to interface my old audio equipment with a new Sonos speaker system setup in several rooms throughout my house and not only work, but sound good at various volume levels. Thanks. I HAVE SPECTRO ACOUSTICS 202 POWER AMP, REBUILT. QUESTION: WILL THIS PRE AMP WORK W/ MY AMP? I own one and have a Honorable hum/open ground in the unit. My stuff is working but with the replacement per,-amp it's HUN-CITY. Used within 6" of any component the per-amp protrudes HUM FROM HELL!!!! Well it's worthless for me! Can't put it in my rack!!!! With out the JUNK, my system works without hum/noise and kicks A.. Total Electronic Junk! Hello! My 1980's era Carver C-2 pre-amp has failed. Its paired with a Carver M-200t magnetic field power amp. Would this amp make a good replacement for the C-2 to use in conjunction with the M-200t? Thanks in advance for info! I am looking for a surround preamp that outputs 5.1 or better, this only has a stereo output. 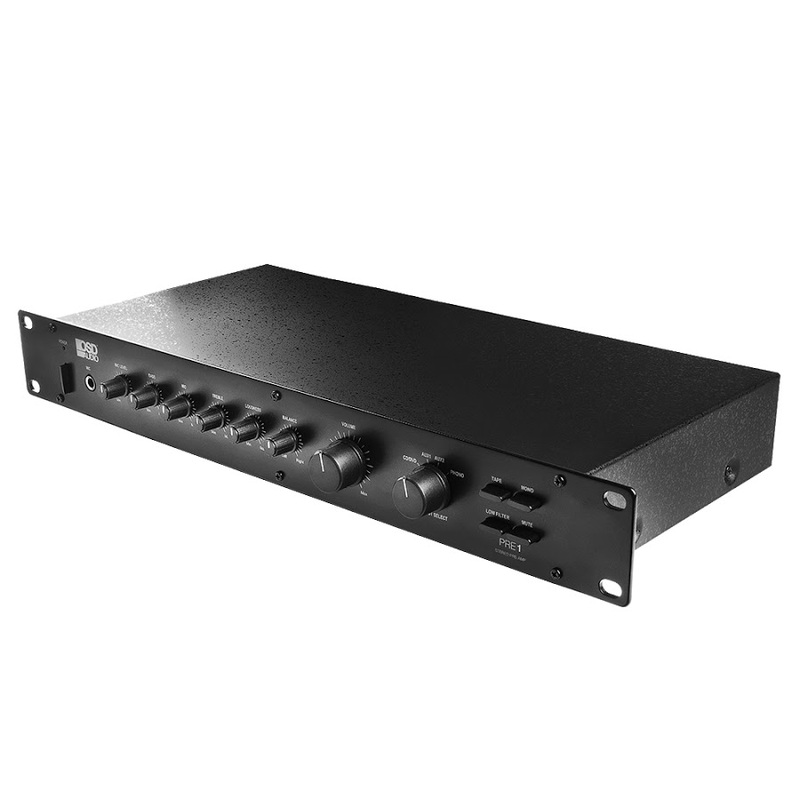 Do you sell a preamp with surround sound outputs that can be used to drive a multi channel amplifier. Would be great if it were wifi capable. Any suggestions would be appreciated, thanks. Is the center detent on the Loudness control "flat"? I understand turning it up towards max increases the bass and treble according the manual, but does the min setting decrease those frequencies? or is min the "flat" setting? Hi, would I be able to use this pre-amp for the Bose F1 Model 812 PA speakers? If yes can a Bluetooth be added to the pre-amp? If no any suggestion? Hi I believe that I have researched the OSD system quite a bit, and dont see that it can be controlled by a mobile device. Is this correct? We have 6 speaker zones in our house, and like the features of the amp very much, but would like to be able to adjust each zone from our network. How do we do this? I need information about weight and volume of package. Hi. How can an equalizer be added with this preamp? Any diagrams and settings? I have paired this unit with your AMP200 power amp, and I can't get them to work together, are these two unit non-compatible? I have tried everything possible with no luck. How much gain does this preamp have? What would be the max output voltage of a line level input? Are the rack ears removable? If not, is there an earless/ear-optional version available/on the way? Looking to use something like this as a cheap solution for a source switch before an EQ and then power amp. 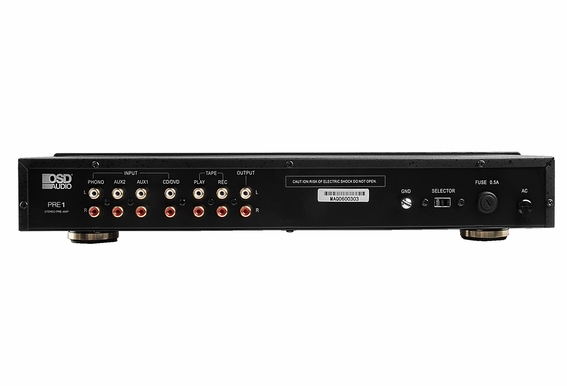 Does this one have a higher output for phono as normal on most receivers? The Front Panel Mic Input. When hooking a microphone to it will I be able to speak and play music from any of the Aux inputs at the same time. Use- Fitness instructor with wireless head set into th e front mic jack and wifi/bluetooth reciever into Aux 1, source ipod. Looks like the front panel of the unit is 18.9" wide but how wide is the back of the unit? bluetooth? Do any of the products support bluetooth sound sources?